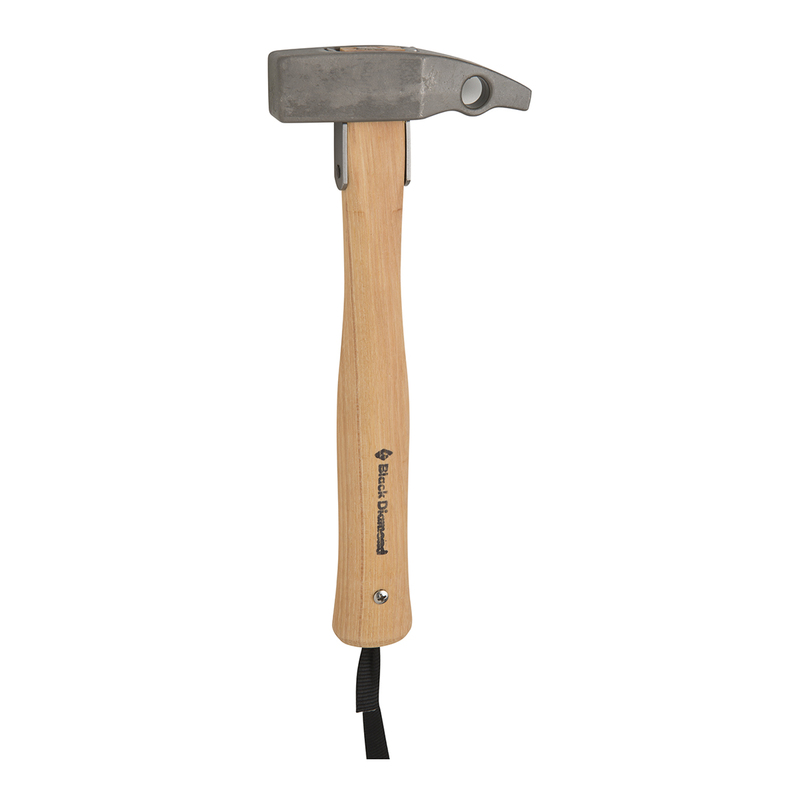 The Black Diamond Yosemite Hammer is the perfect tool for big wall climbing, featuring a timeless design and an investment cast stainless steel head for durability. Whether you're equipping a route or need a little extra oomph on a long route, the Black Diamond Yosemite Hammer has plenty of design features you can rely on, including a vibration-dampening oiled hickory handle, a dropped pick for easy pin leverage and a clip-in point for easy attachment to your harness. It's also equipped with replaceable 13mm webbing and a shoulder-length runner for even more attachment options. Equipped with replaceable 13 mm (1/2 in) webbing and a shoulder-length runner.